A lot of company’s and entrepreneurs have Drone Business Ideas they would like to implement, but most have been waiting for the FAA to come up with commercial Drone regulations before doing so, Well the good news is they have. As of late August 2016, the FFA has finally established a set of guidelines and regulations that allow the use of Drones for commercial purposes without the need to be a fully licensed pilot. So now, you probably think “It’s the perfect time to start a drone business of my own and find a way to profit from this “Air Drone Craze”. With all the talk about the anticipated huge market for commercial Drone services, along with all the hype about the amazing things drones can do, many people and businesses are taking a look at this opportunity to get in an industry that is just starting to really develop. 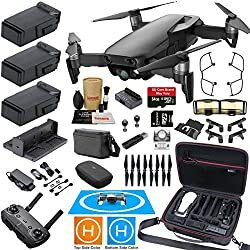 Keep in mind it’s not going to be as simple as Buying a Drone and then getting people to pay you for pictures and aerial video, you can be sure it will come with the normal government red tape. To start, recreational flight means you’re flying purely for personal enjoyment, however you need to understand that a few of the new FAA rules still apply to you. One particular is that any drone between 0.55 and 55 pounds needs to be registered (Register Your Drone Here), regardless if it is for recreational or commercial use. You also need to keep it below 400 feet and within your line of sight. If not you could be fined. Once you register, you get a unique serial number that needs to be applied to all your drones, and when you’re flying you’ll need to have a paper or electronic copy of your certificate of registration. 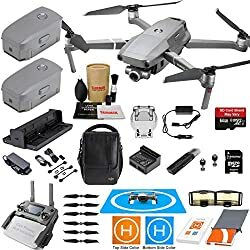 Drone registration has to be renewed every 3 years. Failure to register can cost you up to $250,000 or result in 3 years of jail time. Now, Commercial drone flight is using your drone for any sort of business-related purposes for profit, selling photographs and video of your own personal use for example would be still be considered commercial use of the drone. As mentioned before, one of the biggest barriers to entry cited by individuals and businesses that wanted to fly a drone for commercial purposes had to do with the pilot’s license requirement. Needing a licensed pilot to operate the drone represented a very high barrier for anyone who wanted to use or even experiment with drone technology in their business. To the relief of many, Part 107 eliminates that requirement, but you still need to have the proper training and abide by the new regulations. Pilots must obtain a remote pilot airman certificate or be supervised by someone who has one. A preflight inspection is required before every flight to ensure a UAV is airworthy. Drone operators must still maintain visual line of sight with the naked eye while the drone is flying. Drones can only fly in the daytime, but twilight flying is allowed if the drone has anti-collision lights. Drones can’t fly over people who aren’t participating in the operation of the drone. Drones cannot fly higher than 400 feet or faster than 100 MPH. Drones can carry packages, but the combined weight of the drone and packages must be less than 55 pounds. Drone operators must be over 16 years old. Like any new industry, demand for people and businesses familiar with the technology and how to use it will stand to profit the most. Understanding how to fly safely is one of the most important benefits to a drone pilot training course. Drone training can give you the tools necessary to confidently operate your UAV and offer an experienced source of knowledge on any additional FAA requirements you’ll need to meet and run a commercial operation. Drone pilot training will also help you learn how to implement techniques which will enable you to get the most value out of your investment and avoid potentially costly mistakes. The drone boom will bring new career opportunities, drone-related jobs are projected to explode into the job market with numbers as high as 100,000 new jobs in the next 10 years. The economic impact and demand is going to be huge, so receiving drone training now and being familiar with the technology would ensure you a successful career. Where can I get the training needed? DART Drones offers one of the most popular UAV ground school training programs. They’re one of the only FAA Certified drone flight schools in the U.S., and they travel across the country giving training lessons to budding pilots. The program, which typically can be completed in one day involves 3 parts that can be purchased together or separately. Be sure to use the code airdrncraze10 and get 10% off. National Drone School You no longer have to drive long distances to find a school to teach you to fly your new UAV. National Drone School offers you an opportunity to learn how to fly and correctly operate your UAV from the convenience of your home without spending thousands of dollars. Drone U courses are online, giving you unlimited time and ultimate flexibility. 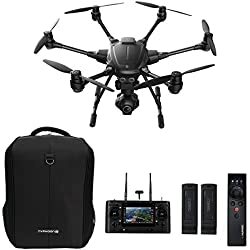 You will also have total access to the thriving Drone U Community of fellow students, advanced pilots and drone experts. This assures that, as you participate, you’ll be able to get all your questions answered as you progress. Join and have access to ALL the courses in an affordable monthly payment format. The new rules require a commercial operator to get a Remote Pilot Certificate with a Small Unmanned Aircraft Rating, current pilots have to pass a simple online test; non-pilots have to pass an aeronautical knowledge test which includes the ability to read aeronautical charts, understand and decipher aviation weather reports, in addition to learning the new operational drone rules. It costs approximately $150 to take the test. After taking the test, a background check is conducted by the TSA to determine whether they are a security risk. Only after that is done, will the FAA issue an applicant a certificate to fly a drone. The FAA offers a free two-hour training course (register here first) and an 87-page study guide (PDF) to get people prepped for the test. Testing centers nationwide can now administer the test. Definitely take it seriously and prepare. Don’t just take the test to pass, you really need to understand it. UAV COACH has opened their Drone Pilot Ground School, a self-paced online course that will teach you safety and also help you prepare to pass the FAA Part 107 Aeronautical Knowledge Test in order to obtain a Remote Pilot Certificate. They also offer a Mapping and 3D Modeling 101 course. learn how to use your drone to capture data that can be turned into maps and 3D models for your clients. 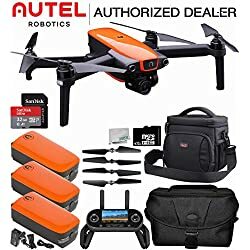 While you may not have a need or the funds for a large commercial drone with 6 or 8 rotors when you are just starting out, but there are still some great choices available when it comes to purchasing a drone that has all the needed features and can produce professional quality aerial footage. 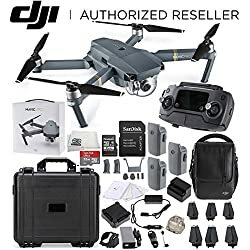 DJI currently produces some of the best Professional Drones on the market. Other less known manufacturers are also introducing new models to meet the demand. Let’s take a look at some of the opportunities that the Air Drone Craze has in store for new jobs and businesses. They include everything from wedding and real estate photography, to land mapping and surveying, factory inspections, and even security services. Commercial Inspection Services: Bridges, Cell and TV Towers, Wind Turbines, Power lines, Pipelines and even Solar Panels. Mapping and surveying: Provide company’s with digital elevations, property boundaries and surveying construction sites for placement of buildings. Fast Food Delivery: Big companies such as Domino’s Pizza will be looking to invest in drones for pizza delivery in the future. Package Delivery: Australia Post and Amazon are already investing in drone technology as a way of delivering packages. Residential Home inspections: Check Roofs, Chimneys, Siding, Brick and other Structures for Exterior Damage. Drone Parts and Repairs: Open a shop to sell parts to build and repair Drones. Drone Aerobatics Shows: Enter events like Drone Racing or create your own competitions. Aerial Advertising: Fly banners for businesses, Do in a safe manner, that does not annoy people. Drone Delivery Methods: Solve the “last 50 feet dilemma”, Develop a method for delivery – e.g. drop, parachute, hoist, landing ect. Homes have mailboxes for mail and packages. But nothing yet exists to make drone delivery easier. Software Programming/ Applications: If you know something particular the drone market is lacking, Create a APP for it. Commercial UAV also offers some FREE reports you may find helpful. They include exclusive insights and information about the commercial drone industry. Sometimes you just need to think outside the box, Try this post by Thomas Frey – 192 Future Uses for Flying Drones to get a few more ideas on drone businesses. Check out my post on the Top 12 Non-Military Uses For Drones for some interesting ways Drones are being used, maybe it will inspire you with a new drone business idea or perhaps you can scale down one of these uses to a more specialized level. Talk with potential customers, like homeowners, local business owners and other drone operators right in your own community, get their opinion on your idea. Remember, It’s important to promote safe and ethical use of this technology in order to help change the public perception of drones. Check out our Drone Resources page for information and links to popular Organizations that you may find helpful. Companies that broker drone services could soon be the biggest players in the U.S. commercial drone economy. Brokering drone services is about developing relationships with corporations that could benefit from drones and helping them figure out how best to integrate the technology into their operations. The ultimate goal is to show these companies exactly how drones fit into their business model and then ink long-term contracts for providing those drone services. Brokers connect Drone pilots with companies that need aerial data collection, but don’t necessarily want to invest in their own drone fleet. The company is part of a growing sub-market within the larger drone economy focused on “drones as a service,” a segment many believe will soon overshadow the multi-billion-dollar market for drone hardware itself. Skycatch is launching Workmode, which helps companies find third-party drone pilots—much like Uber lets you hire a car ride. The goal is to make it easier for companies to afford the expensive technology of UAVs and, in the process, help independent pilots make money from their drones. But it’ll need some help from regulators. Start by getting the training needed and a business plan together. Like any business, it will take an investment of both time and money. You will need set a structure, sole proprietor, partner, LLC ect, and obtain a licence from the state or local government. Acquire the needed insurance to protect yourself and others. Ensuring you’re set under Part 107 is just the beginning of what it will mean to safely and legally operate a drone. Once that’s settled there will be issues to sort out with state and local authorities, plus insurance considerations will undoubtedly take center stage at some point in the near future. The FAA will continue to regulate what a safe flight is, but states and municipalities have the authority to police what operators can actually do during an otherwise safe flight. That means you can do everything right according to the FAA, but a drone-based business can still be restricted. We’ve already seen a number of states and municipalities pass or try to pass laws which restrict how or where people can fly their UAVs, most notable are things like privacy issues and those numbers will undoubtedly continue to increase under Part 107. Section 333 vs. Part 107: What Works for You? One of the biggest questions for drone operators now is whether you’re are better off flying under Part 107 or under a Section 333 exemption, which is more expensive and time-consuming to obtain. Your exemption is valid until it expires – usually two years after it was issued. Even after Part 107 becomes effective, you may choose to fly following the conditions and limitations in your exemption. The new rule allows operators to file a waiver that will give them the ability to fly in a way that is not covered under Part 107. Operators still need to apply for waivers if they want to fly drones at night, above 400 feet and in other specific types of operations. The next step for FAA will be a proposed rule for flying safely over people who aren’t associated with the flight, which is now generally discouraged, and then a proposed rule expected a year from now for expanded flights such as at night. If being a Professional Drone Pilot is your goal, these suggestions will get you started in the right direction. New tools of technology will always present opportunities and challenges, let’s not let a few irresponsible individuals playing with their toys ground a whole industry before it literally has a chance to get off the ground.